This app is amazing! However, I wish that you could turn the music down and still keep the rainy mood app loud. I like music to be the background sound to the rain. Not being able to control volume of music within the context of the app is my only complaint. This really helps my issues with overstimulation and executive dysfunction. 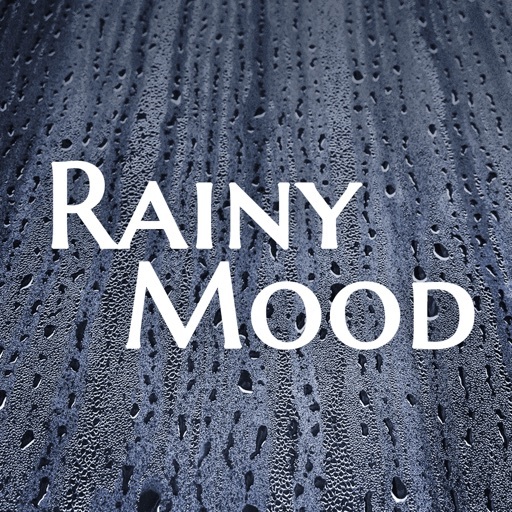 If listening to the rain soothes you or helps you focus on your tasks, GET THIS APP. I love the customization sliders and the volume is good (you don't have to max your volume just to hear anything). There's 4 main types, like ocean, countryside, cafe, and whatever the fourth one I don't use is. Probably just generic rain. You can add things like seagulls and waves on ocean rain, or completely mute those options, with a simple slider. Value: I think I only paid three bucks for this app? Definitely wasn't more than five. Give it a shot and play around with the options. The sound quality is top notch. Always telling my friends about the app. Every one of them that downloads it loves it as well. Would love to see some new options as well! I think I remember one that played with your website that almost sounded like rain on a tin barn roof. Keep up the awesome work! The besst app! Worth my $3 dollars! LEGITTT MY FAVEEEE APP EVER!!!! Only thing if there was more options and changing the background and such more!! Also a little more realistic sounds!! And more thunder!! I bought this app so I could access that lovely, powerful rain track on rainymood.com through the app, but the rain sounds on the app are just so flat and weak in comparison. It feels kind of like a bait and switch. 🙁 On the website, I love the way it gets organically heavier and lighter, like a real storm. It's so relaxing. Please, add that track to the app? I use both, but prefer the desktop one better. There is a difference in the timbre of the rain & thunder that is a bit more pleasing to my ears on the desktop version. The app is just okay, because of this. It’s not bad, I just find the oldskool desktop version more satisfying. Not gonna lie, when I bought this app a couple years ago I was so bummed that the sound quality was so much less than the site. I didn’t touch the app for years and decided to try it again, and I’m so blown away. I didn’t know about the new locations like countryside! I’m in love! Use it almost every nIght. No problems with it all!